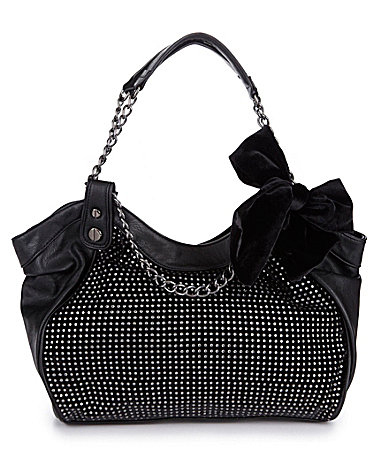 Fun and a little quirky handbags from Betsy Johnson. Who couldn't love these girly bags with crystals, velvet bows, leopard prints and chained handles? Each bag has Betsey's signature lining, interior zipped pockets and cell phone pockets.